How hard was it for your ancestors to get from their farm to the harbour where they would meet the ship that would take them on the first leg of their journey to Amerika? 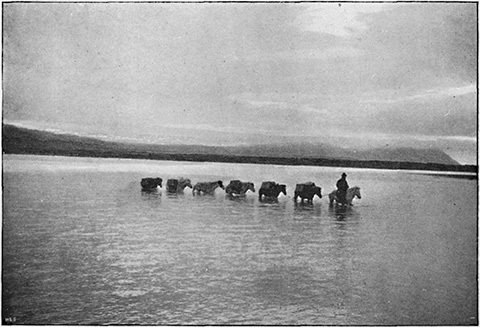 Rodwell was in Iceland, the summer of 1879. He describes his trip. He’s traveling at the same time as some of our ancestors were making their trip over the mountain passes, through the lava fields, past the glacier covered mountains, over the bogs. Unfortunately, I don’t have a diary from my Great Grandparents describing their journey. However, I have Rodwell’s report in Nature. Did you know that? Did you know that this was what your lang lang amma braved? To come to Amerika so that her children and children’s children could have a better life? That your lang lang afi endured? It wasn’t just adults that endured this type of trip to the harbour. It also was children. In my family there were daughters. Everyone would have been on horseback. Luggage on horseback. Riding into driving, horizontal rain. Battered by wind. Unable to go any faster. Why do you celebrate Islendingadagurinn? Why do you go to Thorrablots? Why have you got a name plate in Icelandic in your yard? Why do you walk to the rock? Why do you eat vinarterta? I hope you do them because you are proud of your Icelandic ancestors, because you enjoy the events and the food. I hope, though, you take time to think about a line of Icelandic horses with people hunched against wind and rain, following the tracks cut deep into the ground from centuries of use. Because that’s why you and I are here. I’ve never been to an INL convention like it. It’s been all over the place re types of speakers and topics. I think people are discombobulated in a good way. They’ve had their conceptions un-concepted, they’ve heard and seen things that have left them puzzled, curious, excited. It is hard to capture the excitement that has been generated. I am so grateful, happy, that I decided to come to this convention. I’m not a great enthusiast but I’ve found myself being amazed, amused, bewildered. David Johnson is the Co-Chair of this Convention. He has been everywhere, checking on everything, making sure that we all stay on time. David is Mormon and he introduced the first speaker, Prof. Fred E. Woods. Fred is highly personable, an experienced teacher and public speaker. He presented a slide show with commentary. Some of his slides were pictures of Icelanders who went to Utah in the early years. Other slides were of documents from that time, often letters, that have been translated into English. I have read quite a bit about the Icelandic Mormons but Fred’s lecture made me aware of how much more material there is that I did not know about. I, and I expect, many others, will be going online to read the work that has been translated. He is working with the Icelandic scholar Kári Bjarnason, head of the Vestmannæyjar Folk Museum. Together, they are collecting and publishing Icelandic materials which are in Utah. You can read much of this material on the “Mormon Migration“ website hosted by BYU. We went from this rather conservative individual who describes happy things as “sweet“ to Donald Gislason. Now, I have to confess that I‘m a great fan of Donald. That‘s because when I was editor of Logberg-Heimskingla, Donald provided marvelous interviews about the music and cultural scene in Iceland. I remember telling him at the time that he was the best interviewer I‘d ever worked with. He has a Ph.D in Music History from UBC. He‘s made six trips to Iceland but given his knowledge of the music and cultural scene, you‘d think he‘d spent a lifetime there. I certainly did. He says he is a hopeless “miðbærritta“, that is a guy who thinks the whole world revolves around 101 Reykjavik. It would be impossible to do justice to Donald‘s lecture, slide show without writing like Hunter S. Thompson. We saw bands of every kind. And, in Iceland, there are bands of every kind. I‘ve always wondered where Bjork, Monsters and Men, Siguros, etc. Etc. Etc. came from. How come, with a population of less than 320,000 that there are musicians of very kind, playing multiple instruments, old instruments, space age electronic instruments, playing multiple styles? Donald provided the answer. The system in Iceland provides funding for every child to have music lessons. The child in Reykjavik and the child on the most isolated farm. The cost is split between parents and state. I wish I could have hauled all those people into the auditorium with us, those people who want to fund nothing in the education system unless it leads directly to a job, to a trade, who think things like music lessons are a waste of the taxpayer‘s money. Donald told us about Icelandic music culture. About the Airwaves festival which he describes as the hippest event on the planet. Five days of musical mayhem. He credits some things that Iceland doesn‘t have for the creativity and productivity of musicians and, remember, everyone is a musician. What don‘t Icelanders have? They don‘t have the powerful influence of marketing companies. They don‘t have corporations telling them how they ought to be. They don‘t have fear of failure. They are playing among friends for themselves and their friends instead of for paid audiences of strangers. Everyone, no matter what age, listens to the same music. Parents, teenagers, kids listen to the same music. Part of that has to do with demographics. Iceland‘s population is young. There is a lot of support for young parents and young children. Parents take kids to rock concerts. Musical events, a lot of the time, are family events. I saw this when I watched a video about Of Monsters and Men. Crowds were streaming into an open area to listen to them. There were young parents with babes in arms, kids in strollers, kids holding their parents’ hands. There were even some people who might have been grandparents in the crowd. What a contrast this morning, from Fred who is dedicated to preserving Mormon history to Donald with Reykjavik 101, party, party, dance all night, drink all night, listen to music all night, and then eat Subway type sandwiches for breakfast. It’s all Iceland. It’s all part of our history. I know that I’ll be looking up those Mormon sources. Some of the letters we got to read were surprising, even shocking. I know that I now understand more about the Iceland of our ancestors. I also know more about the Iceland of the present. Before I forget, did I tell you about breakfast? Before we listened to these lectures, about the scrambled eggs, the bacon, the scones, the jams, the fruit, the yogurt, the coffee black as the devil’s soul but, I’m sure, much better tasting? Did I tell you that next year this party is going to be in Winnipeg? Did I tell you…? Never mind. Later. I’ve got to get dolled up for the banquet tonight. Comb my hair, try to look respectable. More food, more talks. More surprises. I’m glad the Clipper doesn’t charge passengers by weight. It would cost more to go home than to come to Seattle. Over my lifetime, I’ve read thousands of poems, as a student, as a teacher and as a reader who loves the well-wrought word. Keats and Shelley and Donne and Yeats and Plath and Wakoski and Bly and Eliott and Frost and Berryman and Shakespeare and….the list seems endless. I call it the anthology of my mind. There is in that anthology a poem that I often think about it, and that is “The Winnipeg Icelander” by Guttormur Guttormsson from Riverton. It’s a fun poem. Some might call it verse. I call it the mark of a society in transition. Here is the first verse. It is a satirical look at how the Icelanders in Winnipeg spoke Icelandic. It encapsulates, perhaps better than anything else, the internal conflict among the immigrants over whether they should assimilate as quickly as possible or whether they should isolate themselves from Canadian society in their New Iceland and remain as Icelandic as possible. This conflict existed from the very beginning of the emigration. There were those who believed that the emigrants should go to various locations, hire out to established Norwegian and Swedish farmers and learn how to live and farm in North America. Photographs from the time show well-established farms, buildings, equipment and cultivated land. On the other side were those who wanted to create a New Iceland where everything would remain Icelandic, where it would be just like Iceland except in location. The language, that secret code, that privileged communication, that way of identifying us from them, was the marker of identity. The immigrants, during the first years, in Nova Scotia, in Kinmount, in New Iceland, struggled to stay alive. Many didn’t make it. They died on board ship, as they travelled across the continent, in various locations across North America. Graveyards tell their story. Not to adapt was to die. Only a fool, and a short-lived one, at that, would have insisted against all evidence, on keeping fishing with the nets brought from Iceland. Only a fool would not have learned how to cut down large trees safely and how to build with them. Only a fool would have insisted that he, or she, would only do things just as they were done in Iceland, never mind the -40 below, the summer heat, the mosquitoes, the forests, the vast distances. Why would language be any different? Only a fool would insist that no object be talked about if it didn’t exist in Iceland. When people are going hunting in a Manitoba winter, trying to learn how to hunt animals that they had never before heard of, and returning empty handed, when they were trying to figure out how to get through four to six feet of ice to set nets and had to invent the tools to do it, when they had to plant crops they’d never planted (in Iceland, they’d planted no crops) in land that first had to be cleared, they didn’t have time for effete intellectual exercises in creating a new Icelandic word for the thousands of things with which they were confronted on a daily basis. When they had a chance to buy bif (something they weren’t able to buy in Iceland), or bins or kabits and karats to cure scurvy, there wasn’t time to have a discussion about how these new items should be properly described in Icelandic. The people they were buying from didn’t have time, either. They, too, were living on the edge of survival. In Winnipeg the situation was less dire. There was work, at least for the women, sometimes for the men. 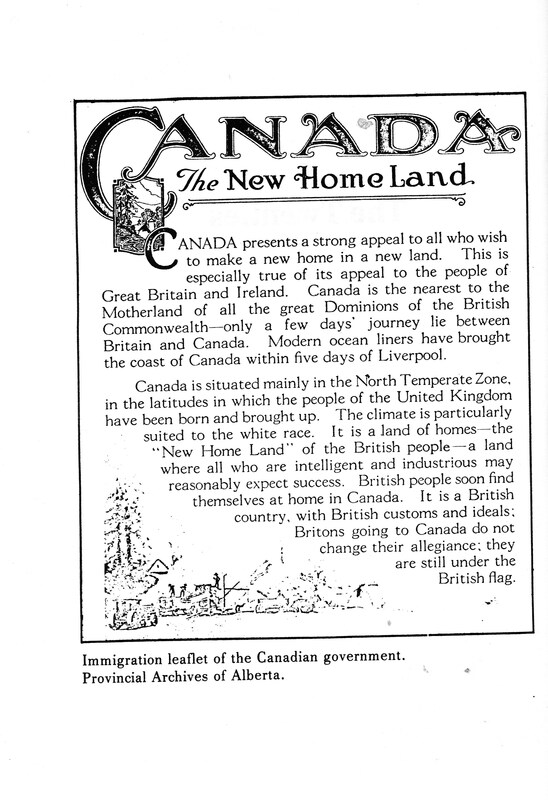 However, Winnipeg was a city of immigrants. Survival required communication. Getting work from bosses from other ethnic groups required that Icelanders learn, as quickly as possible, to communicate, to learn a new vocabulary, one that described the world they woke up to every day. There was no time to write to Iceland to ask if the academic authorities would please tell them what to call a bonkhús. If these authorities had any idea of what a bunkhouse was. And then wait for a reply. 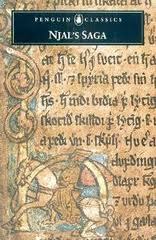 A lot is made of the fact that Icelanders today can still read the sagas. Some would claim that means that Icelandic doesn´t change. Hogwash! In my reading about Iceland in the 19th C. I come across words that even Icelandic historians do not recognize or they disagree about the meaning. Language exists to communicate not to ex-communicate, although some would have it that way. Purity of language, enforced by official purifiers, is an exercise conducted in a society with resources to spend, where hunger doesn’t greet you every morning and go to bed with you every night. My grandfather built a bunkhús, he told his Icelandic relatives that he´d built a bunkhús, and since he went to Winnipeg buying supplies, he learned to go to the hólsíl. When the Icelandic emigrants were leaving Iceland, there were few fences, there were, however, lots of stone walls because there was little wood and lots of stone. Stone walls are walls, not fences and, in Canada there was lots of wood and it was necessary to fence land, and the Icelandic immigrant learned to build a fens. They learned to build a fens on a hómsteð. There were no hómsteðs in Iceland. The very idea was foreign, beyond imagining for most people in Iceland. It required a new way of thinking. None of this change, physical, mental, spiritual, was done without sacrifice, without pain, without suffering, without conflict. Guttormur’s poem, “The Winnipeg Icelander,” nicely encapsulates a society in transition, moving from the past into the present. He was able to do it in a clever, amusing way. GG left us a poem to enjoy but more than that, he left us a picture, through language, of the transition our Icelandic ancestors underwent as they struggled to survive and prosper. Ketil and Sophia. He may have come to Canada with nothing but he became a dairyman, a farmer, a general merchant. He prospered. In 1987 I made my first trip to Iceland. Like most events in my life, it was not planned. I went not knowing what to expect. 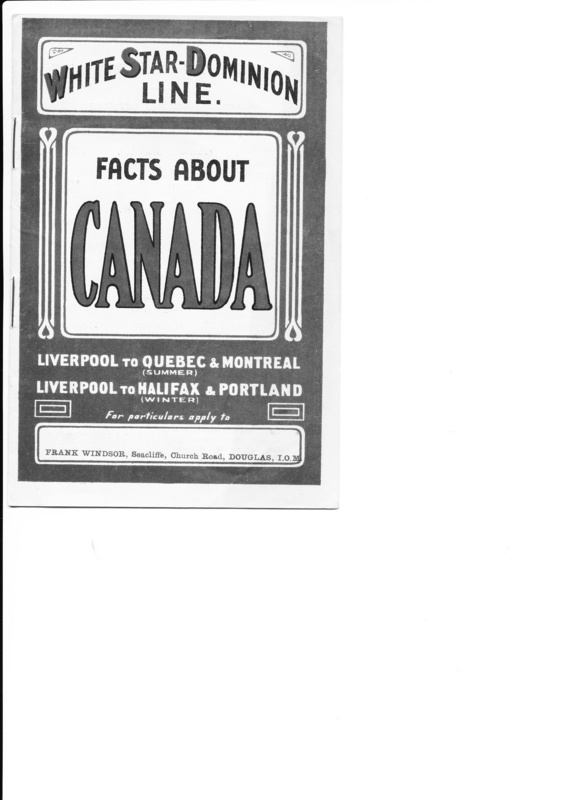 When I returned I wrote an article for Books in Canada. Much has happened in Iceland over the last 25 years. “Yes, of course,” I reply. Outside my window, the apple tree is drenched in bloom and Victoria is soft green beneath the rising sun, but inside me there is heavy surf, the waves breaking over jagged, dark lava and a stark landscape of rock and ice. It is as if I am caught momentarily in a double exposure. And then she is gone and I’m alone, staring, stupid with sleep and surprise, at the telephone. My great-great-grand father, Valgardur Jonson, and 18-year-old son, Ketil Valgardsson, left Iceland in 1878. Driven away by erupting volcanoes that covered wide portions of the country with lava and ash, widespread hunger, and a political system that placed all power in the hands of the Danes, Ketil. Keteel. My great-grandfather, splitting wood in his backyard. An old man with a handlebar moustache. In this basement, his coffin prudently bought years before his death and set on two saw horses. In his kitchen a drawer that always held peppermints. I was raised in Nya Island, New Iceland, an area in Manitoba once exclusively reserved for Icelandic immigrants. For days after the telephone call, the images of Gimli flood me. The people, the boats, the fishing, the houses, the Icelandic Celebration. It is like watching a dozen slide shows all at once, hearing a dozen competing voices in Icelandic and English. An Icelandic-Canadian friend tells me I’ve received a great compliment, that no one has been invited to Iceland in this manner since Stephan G. Stephansson. However, nothing, as every ethnic writer knows, is as simple as it looks. Ethnic communities are filled with conflict, secrets, loyalties, unspoken rules. I take a young Icelandic woman to supper and ply her not with liquor but with questions. Some of what I hear I already know, but other things are new. “Talking about yourself is worse than being the whore of the district,” she says. On an island with a total population of 250,000, with everyone related, no one is a stranger. It is not necessary to talk about yourself. Everyone else will do that for you. “They will discuss even the hair in your ears,” she answers. She has other warnings. As I eat, I shift my knife from hand to hand. She explains that Icelanders consider such ta le manners to be crude (they eat European-style with fork held firmly in left and knife in right), but it is the North American habit of eating things with one’s hands that appals them. I begin practicing keeping my fork in my left h and. Even my morning toast, I eat with a knife and fork. Others tell me to buy liquor in the duty-free and take it as a gift. Liquor is so expensive that it is a generous way of returning a favour. Buy duty-free liquor in Winnipeg, then another two bottles in Keflavik (you can buy duty-free in Iceland before you enter the country). This is illegal, but I’m assured that no one will check. Take long underwear (I find myself searching for long underwear in Selkirk, Man., the week before I leave) because even in July it can be cold. The don’ts are formidable. If you’re offered salad, treat it like a condiment. It’s so expensive that they don’t eat it the way we do. If you are offered salmon, don’t eat more than one piece. If you are offered lamb, don’t take a second helping. Both are very expensive. Don’t say anything critical about what you see or hear. Take suits and ties, not blue jeans. I leave Winnipeg on Icelandair on July 14 and fly into the midnight sun. It is impossible to sleep. Five hours later and a five-hour time change and we’re dropping onto the tarmac at Keflavik at 8:30 a.m. My first sight of Iceland is rows of American long-range bombers, AWAC spy planes, American fighters. Keflavik is a U.S. controlled military base and, secondly, a civilian airport. This the front line of the American cold war against the Russians. Between Keflavik and Reykjavik, the land is barren. ON these shattered lava fields, nothing grows except moss, and that, often as not, is grey rather than green. My hosts, the national Librarian and a Lutheran minister, point out landmarks. The most striking one is a cone-shaped mountain called Keil. Steam rises on the horizon and I, coming from a world away, mistake it for smoke. It is only the first of many assumptions that, during the coming two weeks, will be wrong. My lodging is the married-student quarters at the University of Reykjavik. The apartment is like a nicely appointed motel room with kitchenette. I try to sleep but these are the days of the midnight sun. The sunlight floods through the drapes. I toss restlessly, give up, and return to my balcony. Below me, children are working in communal gardens. 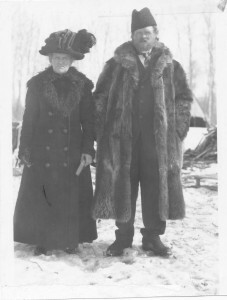 I and my host, Finnbogi (Finn boy-ya) Gudmundson, are to leave the next day to visit my great-great-grandfather’s farm. I still have no idea what to expect. When I get up in the morning, I dress in blue jeans, then a warning I have been given earlier begins to sound. I take off my jeans, put on my tweed suit and knitted vest. When Finnbogi comes to the door, I realize I am suitably attired for I am nearly his double. Together, like two English gentlemen at the turn of the century, we face unknown impeccably attired. It is to be a memorable trip. It is my first look at the hot-water mains that snake across the country bringing geothermal water to heat the city. Finnbogi points out Haldor Laxness’s house (he won the Nobel Prize in literature). My host is a marvel. He knows stories about every rock, every farm. He tells me one anecdote after another. At first, I try to remember it all but, finally, sit back and let it wash over me. Soon we leave paved highway and ride on roads similar to those in Manitoba during the 1940s – washboard gravel strewn with rocks the size of fists. We follow the ocean. In this country of fire and ice, of geysers and active volcanoes, the interior is still so dangerous that there is a tourist brochure called “How to Travel in the Interior of Iceland.” Among other things it says, “Wade across the ford before attempting to drive over, and check the condition of the river bed. Look out for quicksand. The man who wades across the ford should wear a life jacket and be attached to a life line. The cold water in Iceland can cause cramp in those who fall in and even death.” I face this in a tweed suit and $40 silk tie. “We’ll know if they got a whale at the whaling station,” my host says. He opens the window and sniffs. The air is fresh, clear. He rolls up the window. Shortly, he rolls down the window again. This time there is a bitter, sickening smell, as if something has been left in the sun to rot. At the whaling station, we stop. Here, the smell is overpowering, making the air heavy, greasy, so that if feels like a soiled towel. We stop for lunch at a hotel. It could be any CPR hotel in small-town Canada. Heavy, solid, a room of nearly empty tables covered in white cloths. I am in for a shock. Soup is $5 a bowl. Fish fillets and the ubiquitous small boiled potatoes are $15. I make my first faux pas. I comment on the prices, then express a curiosity about cost unbecoming to a guest. When I realize that my host is offended, I start a discussion about something else. The food is good, solid, well cooked, but even though I am not paying for it, the prices stick in my throat like a fish bone. As we drive along, Finnbogi points out a volcanic crater. Here, he says was a farm. One evening the farmer came in and said that a fissure was beginning at his gate. Where the farm stood is exactly where the volcano now stands. The cliffs are alive with millions of birds, and in one set of dark and brooding cliffs, an outlaw lived. We pass a s hallow salmon river where the water runs over and around bare rock in endless small waterfalls. Though there are no trees and the landscape is as barren as the moon, every turn in the road reveals startling shapes and colours. That evening we stop at Borganes. The hotel is open for tourists, but its real purpose is to house young fishermen. Signs on the door say “Out of your shoes.” Rows of shoes line the foyer. These young men work long hours at hard labour. Set meals are prepared for them. I, although I know I shouldn’t be, am difficult, insist that I cannot eat another large meal. My host, emphasizing to the kitchen staff that I’m skald (a writer, that most precious of title in a land where every child knows the sagas the way our children know Saturday cartoons), manages to get me a toasted cheese sandwich. Later, he brings out a copy of a book written by one of my great-great-uncles. As we sit in his room, he translates for me. My ancestor, it turns out, is more notorious than famous., “Did he ever drink so much that he fell off his horse?” I ask. Breakfast is a buffet of cold sliced meats and cheese, salt and sugar-cured herring, marmalade (everywhere I will go for two weeks, there will be marmalade; it is the national jam of Iceland), bread, coffee. We drive until we arrive at Adabol, my great-great-grandfather’s farm. There is still a farmhouse here. The land is still farmed. The farmer does not speak English. There is not much to see: a simple farm house, a shed, a lagoon, the homefield with its rich hay, the grey, shingle beach, the mountains behind. The sparseness, the beauty, turn and shift within me. It is as though never having been here, I yet know the colour and shape of every object. I want to touch everything. I pluck a daisy and press it in my diary I pick up a rock and put it in my pocket. When I walk on the beach and the farmer says that my great-great-grandfather used to walk along this stretch of beach when he need to think, I am overwhelmed, for I, too, do this on Vancouver Island on a similar beach. Again and again he mentions some habit or trait of my ancestors and it is as if he were writing a character sketch of me. Although it is a warm day and he should be in the field drying hay, the farmer asks us in for coffee. It is a great compliment, for good weather is precious and is not to be wasted. Of everything there is to see in the house, my attention is drawn inexorably to four eagles’ feet hanging from the mantelpiece. These, the farmer tells me, he took out of my ancestor’s house before it was torn down. The feet were preserved by smoke because, for decades, they hung beside the fireplace. When we have finished our coffee and go outside, the air is dense with ghosts, indefinable forms that turn the air thick, white, palpable. (Eighty percent of Icelanders report extra-sensory experiences. Those who don’t have them are psychically retarded.) As we begin to drive away, the unexpected happens,. Until this moment, I am distant, holding myself back. All at once, it is as if something I have carried all my life inside me leaves, and I, bereft of that something that has always been there, not me but with me, sit, tears running down my cheeks. I turn to the widow so my host won’t see. I have been brought up in a culture where to express any emotion but anger is a sign of weakness. My throat hurts so much that I feel I will choke. Back over the fence, over the homefield to the house, it is as though who, or what, has left me, slips through thick air. I want to ask the driver to stop, to let me out, so that I can run back as far as the fence, but I cannot speak for the pain and sense of loss, and the car carries me relentlessly away. This must be what they felt when they left, I think, leaving this beach this lagoon this field this ocean these mountains. Then the road turns and the farm is wrenched from sight. Twenty-five years have passed since that visit and, in those twenty-five years, much has changed. The Americans have left. The Cold War is over, replaced by small hot wars in the Middle East. Planes don’t need to stop to refuel. The great economic boom has turned into the kreppa. Whaling has mostly stopped. Iceland is no longer a distant, exotic place. It is flooded with tourists to the point that it may not be able to handle anymore. Icelanders, once a rare sight in New Iceland, come by the plane load. The countryside has moved to Reykjavik. There are now 320,000 Icelanders. The internet means that there is constant daily interaction. Endless photographs uploaded to personal websites and Facebook mean that no waterfall, no fjord, no glacier is a surprise. As for me, I’m a little bit more knowledgeable about Icelandic immigration history. Adabol wasn’t my great-great grandfather’s farm. He and his son, Ketil, were laborers, indentured servants and may have been hreppsomagur, welfare cases. Valgardur was seriously ill when he emigrated. 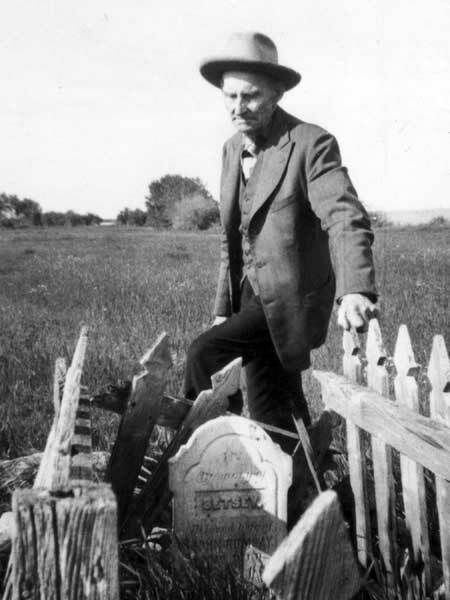 He died shortly after arriving in Canada and is buried in an unmarked grave, a grave long ago eroded by the waves of Lake Winnipeg. None of it matters. A land made of fire and ice is a hard land. Many died of disease and hunger. I’m glad Valgardur and Ketil emigrated. They created a new life in a new place so that I can greet the descendants of those who stayed. Blood and history unite us.